This layout blurs the line between classic and modern. 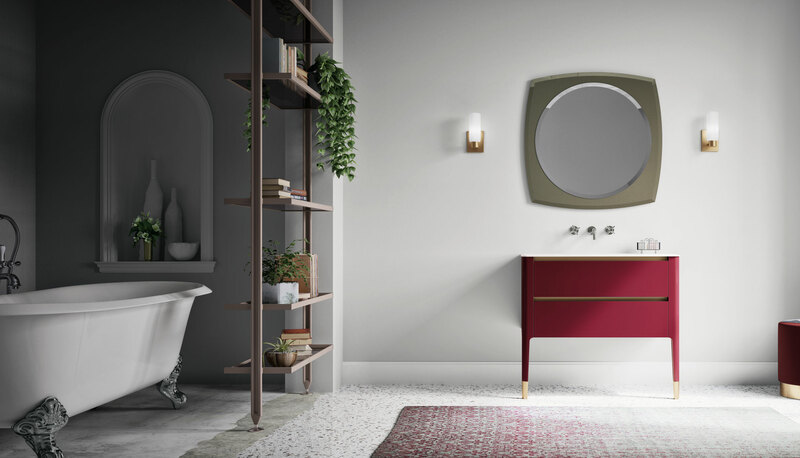 It pairs the vanity’s Art Deco feel – with its Purple Red finish and metal details in brass – with the linear look of the recessed grips and white one-piece top. 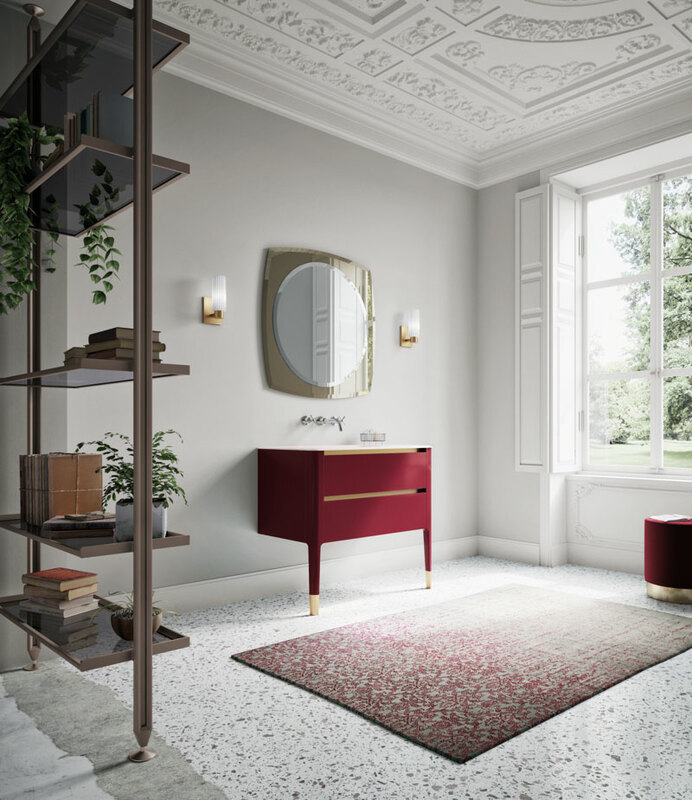 The curved lines of the mirror, with its bevelled detailing and bronzed glass surround, echo the rounded edges of the vanity, repeated again in the arched shape of the wall-mounted tapware. 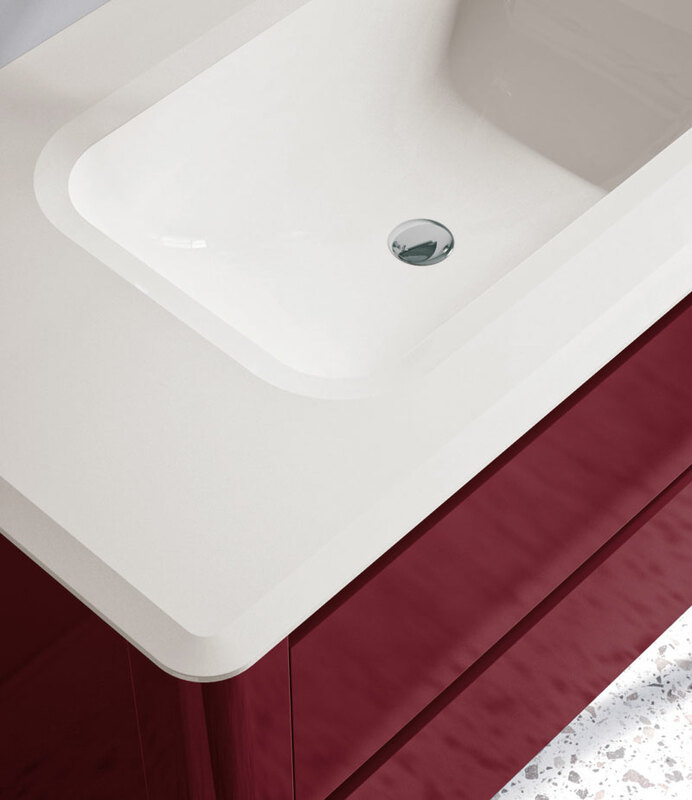 The one-piece MineralMarmo® top with integral basin is embellished with bevelled detailing around the edges and basin.